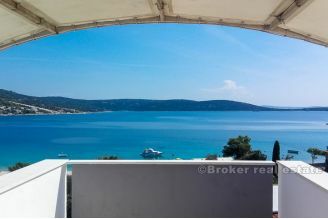 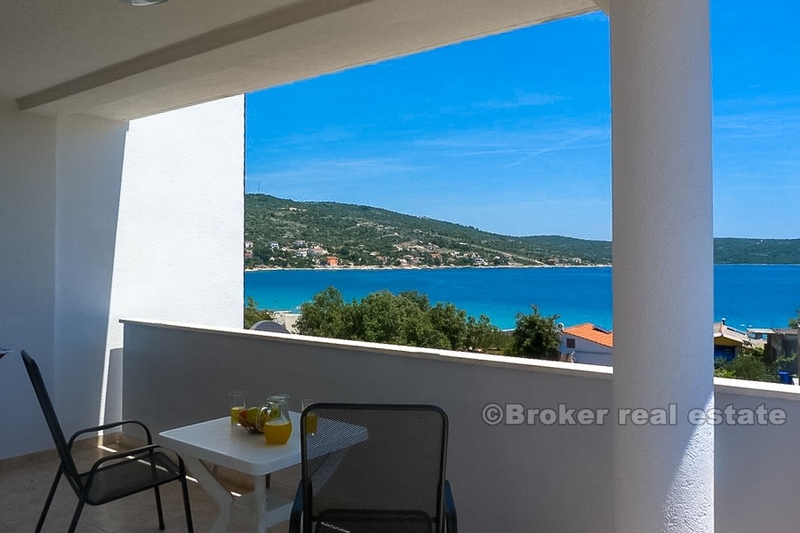 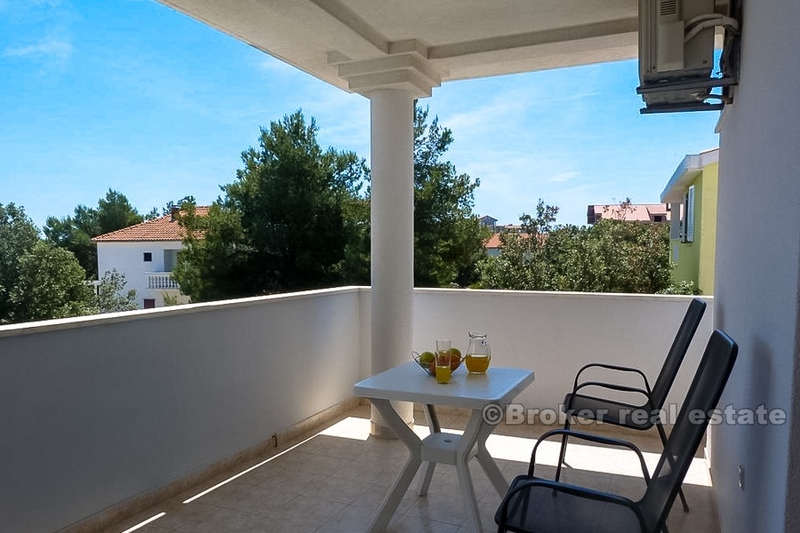 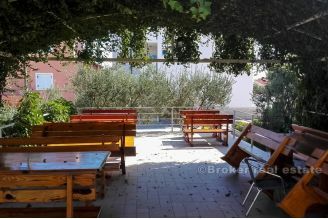 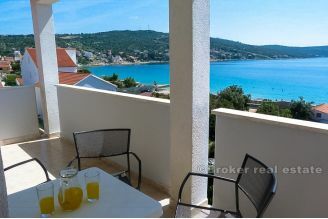 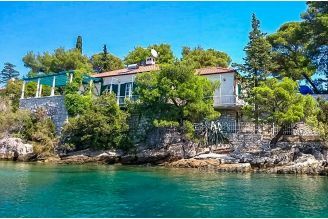 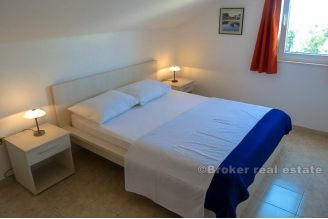 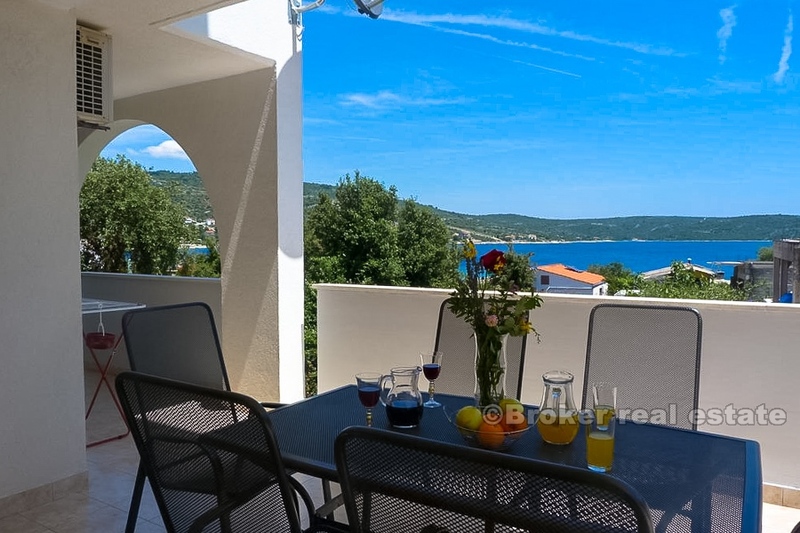 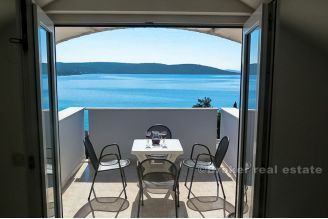 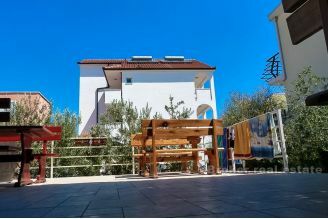 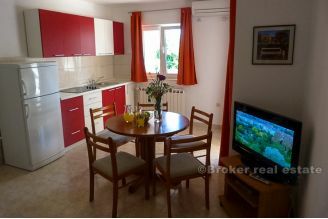 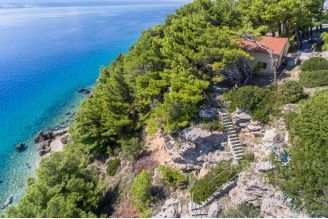 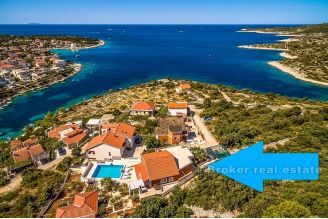 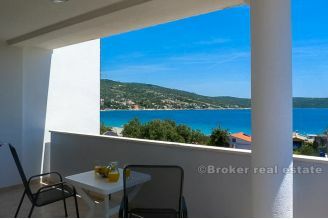 Beautiful apartment building with 10 separate apartment units (40 beds) located in the Trogir area, the second row from the sea. 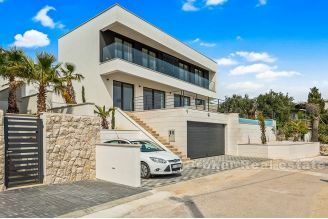 50 m from the beautifully pebble beach. 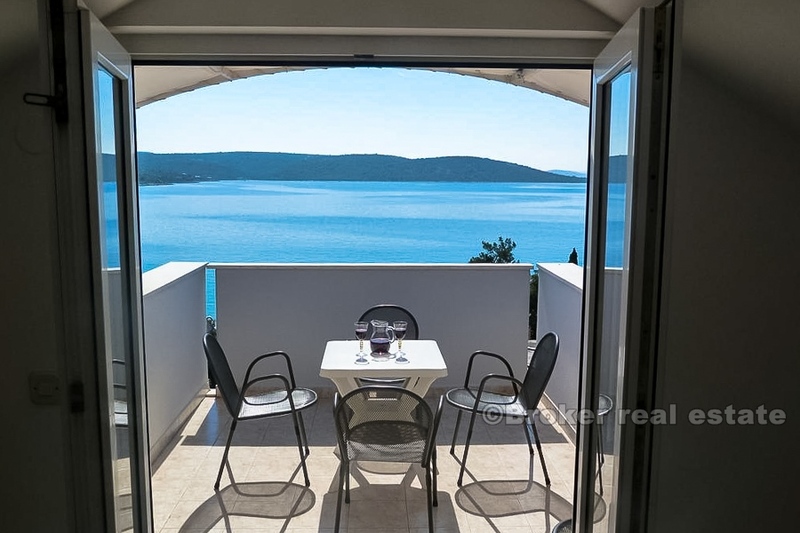 Each apartment unit has a balcony overlooking the sea. 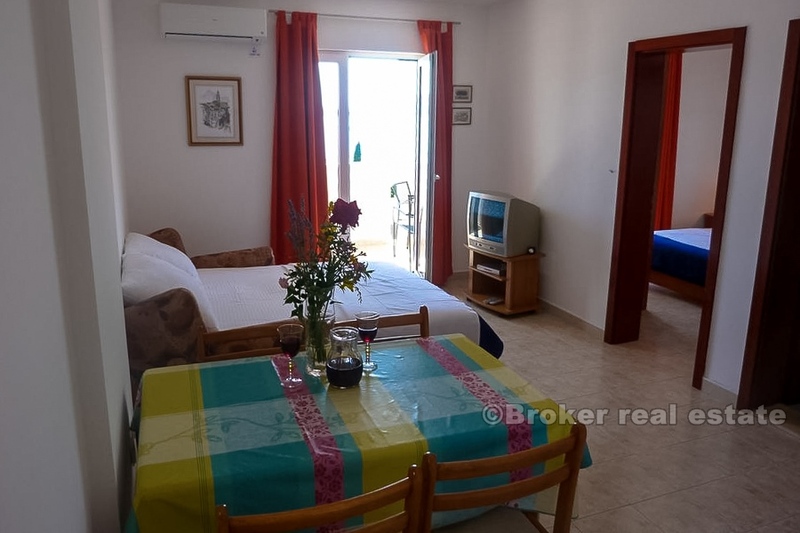 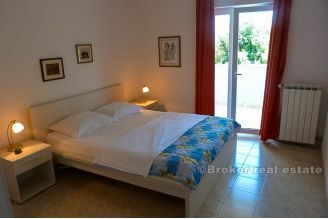 The property has been in the tourist function for years, has constant guests, and the enviable results of tourist rentals. 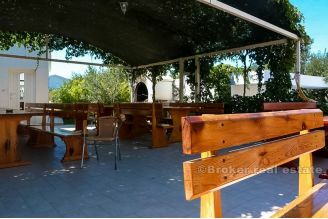 New owner will have the opportunity to continue this business. 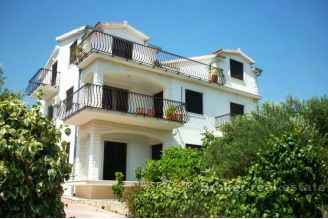 The property is spread over 5 floors (basement + ground floor +2 floors + attic). 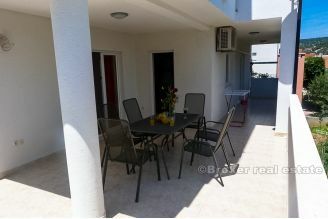 Its total gross area is 608m2. 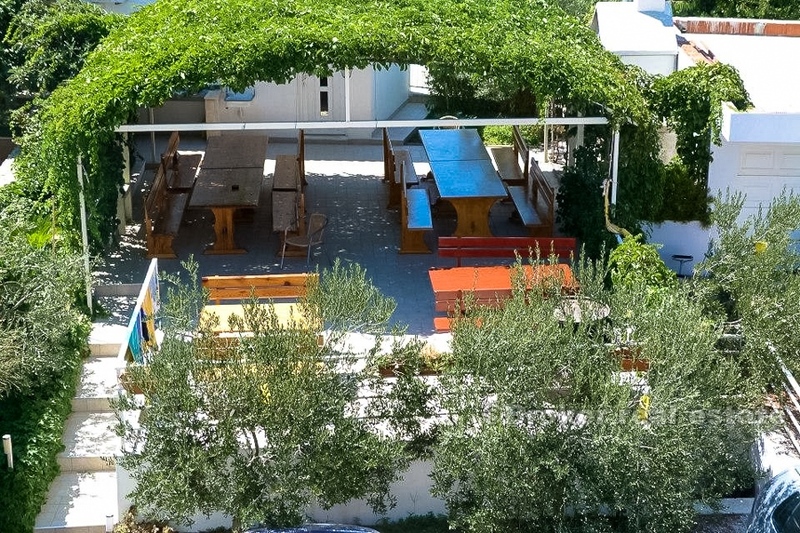 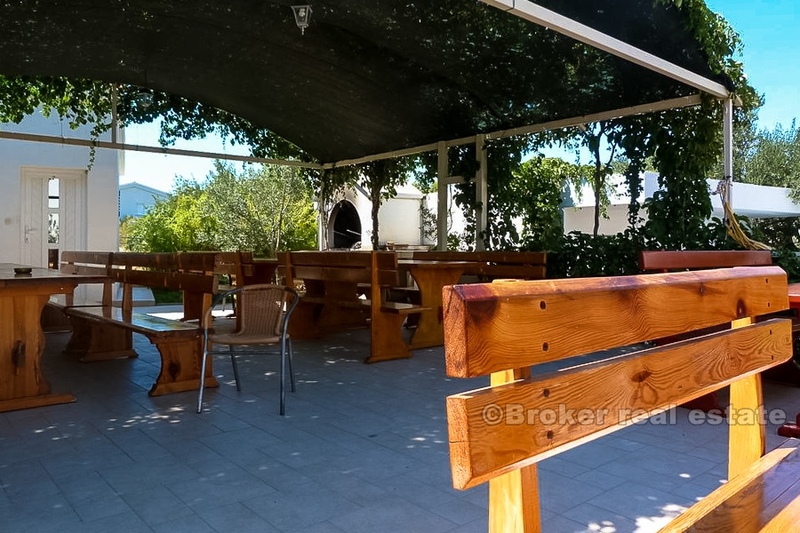 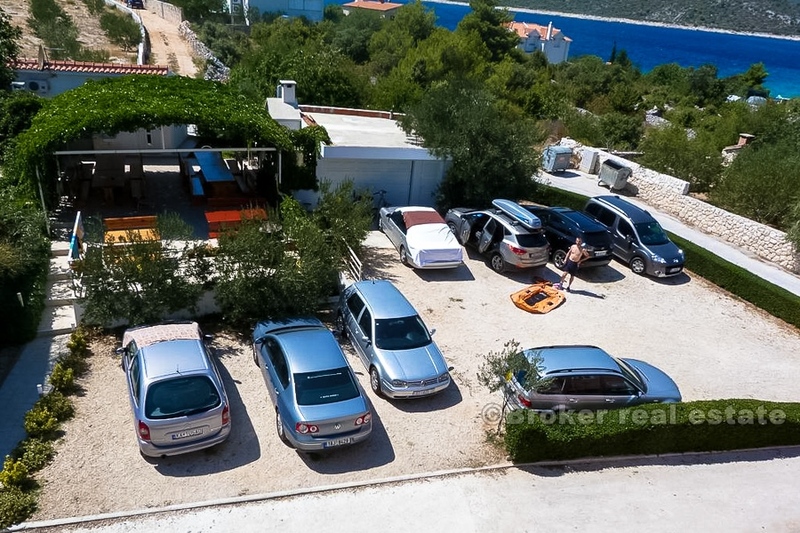 The building is built on a plot of 400m2 and next to it there is a plot of 500m2 which has a garage of 35m2, a smaller 25m object, a storage of 22m2, a large terrace for guests and large parking for at least 15 cars.